The business holiday card: a time-honored tradition dating back to hand-written letters, a well-organized file-o-fax, and the fruit basket, season’s greetings have long served to remind customers just how much their various vendors care. These days, however, tidings of joy are often an afterthought. Holiday cards can feel more like a chore and less like an opportunity to connect with your customers and prospects—let alone impact sales. The timing is tricky, the messaging has to be politically correct, and the delivery mechanism efficient at scale. As a result, most marketers phone it in, and most customers are unimpressed. Your generic holiday email just got deleted. This year, change the game. 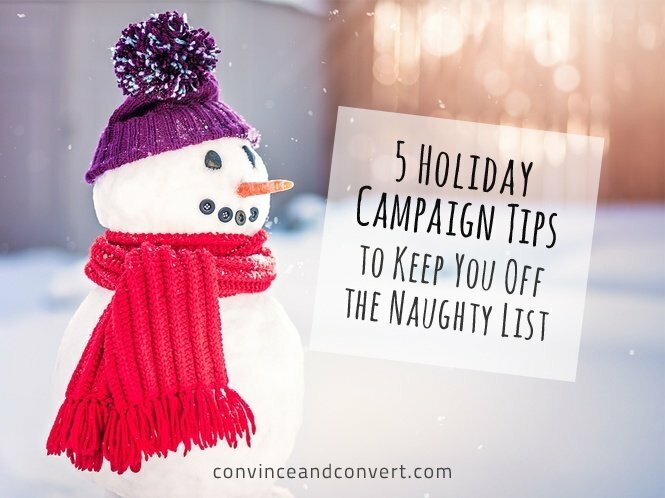 Holiday campaigns present an incredible opportunity to abandon “left brain” marketing and connect emotionally with your community. Done right, the holiday “card” can go beyond spreading good cheer and increase engagement, build loyalty, and drive significant conversions. Personalization is always a good addition to the marketer’s toolbox, but it’s especially impactful in a personal context like holiday greetings. Find ways to go beyond personalizing the usual suspects: the subject line or email greeting. 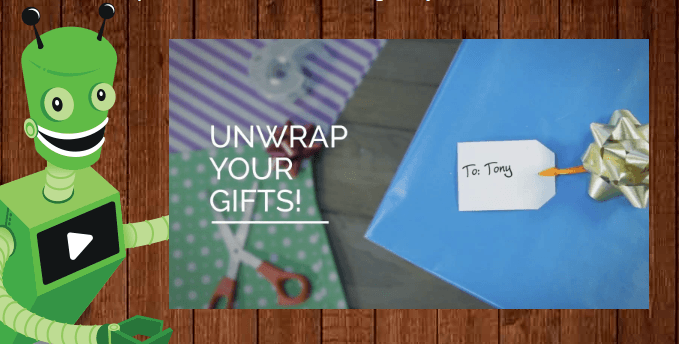 For Vidyard’s 2014 holiday campaign, we included a video thumbnail as our call to action that showed a wrapped present with the recipient’s name on the gift tag. As a result, the email’s click-through rate was more than double our average. Give your users something to do and a reason to do it. You wouldn’t send an email without a call to action any other time of the year—why now? Channel your gift-giving spirit to provide recipients with something they will truly value. That may be quality content that helps them do their jobs more effectively, something fun that will make them laugh, or something tangible that they can actually use, like a gift card. We leveraged all of the above into a “12 Days of Video Marketing” microsite last year, and drove four times more traffic than an average Vidyard content campaign. Also, stay away from tchotchkes at all costs. No one needs more junk. Think about how many holiday emails you receive in the month of December. Which ones stand out and why? Differentiate your season’s greetings with original messaging and interactions. Play off a familiar theme, as in the “12 Days of Christmas” example above, or come up with something new. Sungard, a client of our partner agency Bulldog, built a campaign that connected data security and business resiliency with surviving a family holiday visit. Three different videos showcased the humorous travails of a main character who drew on his IT skills to make it through travel, meals, and more. Each video concluded with an embedded call to action leading to a piece of helpful business content related to the video’s theme. Sungard’s strategy worked. They won multiple industry awards, and achieved click-through and click-to-open rates 122% and 100% higher than average respectively. Everyone can relate to family stress at the holidays. They turned that connection into results. This one is simple: Carefully consider tactics and timing. While email will likely be your cornerstone tactic, make sure to tie in social media to make your experiences as shareable as possible. Remember that business shuts down the week before Christmas, so time your campaign for earlier in the month when people are in the holiday spirit but also still plugged in at work. Last year we launched on December 10, which gave our audience time to engage and share without jumping the gun. As important as timing is, the key to making your holiday campaign video shareable is to focus on the content. Tell a great story, and don’t be afraid to use emotion. WestJet excels at this. Last year, their “Christmas Miracle: Spirit of Giving” video posted right after Thanksgiving last year, and to date it’s been viewed more than 3.2 million times. Impressive, but that was a drop in the bucket compared to 2013’s “WestJet Christmas Miracle: Real-time Giving,” which has now been seen more than 42 million times. Just keep a box of tissues nearby when you watch them. The holidays present a rare opportunity to focus less on work and more on fun. This is the time to show the human side of your brand. Be genuine. Think of your campaign as giving your customers and prospects a great gift, one that you’re excited to pass along because you know they’ll love it. Show that excitement and generosity. Make it personal. Use real people, real language, and real sentiment. Forget the hard sell, and showcase your company culture and values in a way that makes people smile. We put together “That Gift I NEVER Got!” to share with our audience, and it never once talks about video marketing. There’s no sales pitch. This holiday season, don’t be a cotton-headed ninny muggins. Leave the one-off emails to the Grinch, and share a creative campaign that will boost goodwill all year long.